My Summer Cottage in Babylon: Patriotism swells in the heart of the American bear. So, today I did what Oprah has referred to as "the ugly cry" on my front porch. But that's O.K., because there were fifty or so burly bikers and a good number of people from our community doing it with me. I've mentioned that I'm kind of a hermit and I don't really know my neighbors, but this week I have learned a bit about our neighbors across the street. 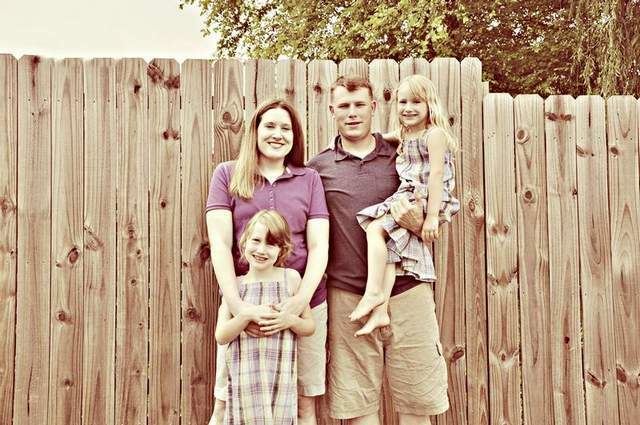 They're Chaz and Jessica Allen, and their two young daughters. Chaz is a Staff Sergeant in the Army and was deployed to Afghanistan. On January 22nd he stepped on an IED (improvised explosive device) which blew off both of his legs and shattered his elbow. But thankfully, he survived. He's been at Walter Reed Army Medical Center in Washington, D.C. since then. 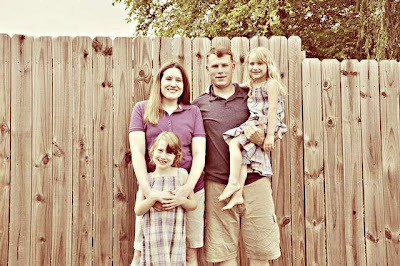 His wife had to quit her job, and has spent the past several months alternating between spending a week here with her kids, and then a week in D.C. with her husband. Thanks to the kindness of those who have donated to organizations like Hero Miles, all of her plane tickets were paid for. The rest of his unit came home in April. For those of you who aren't familiar with them, when a unit comes home from a deployment, it's a big deal. I'm sure you've seen pictures of families running across tarmacs, arms open, to greet their returning soldier. That's not just the stuff of movies--that's how it really is. It's extremely emotional. SSG Allen was finally given the O.K. to come home for good today. Some of his friends felt bad that he'd missed out on the grand homecoming the others had gotten, so they arranged for a surprise homecoming for him at the small, local airfield he'd be flying into. Local radio stations found out and got the whole community in on it. So, hundreds of people--most who had never even met SSG Allen or his family--showed up to greet his plane with cheers and signs. And then the Patriot Guard escorted him and his family home. The Patriot Guard entering the neighborhood. Everyone in our neighborhood knew he'd be coming, and we all came out to wave and cheer as they came into the neighborhood. The neighborhood converging to welcome him home. And that's when I kind of lost it. I didn't cry because I was sad for him. I mean, I am--it's a horrible thing to lose both legs in that way. But he's doing extraordinarily well, and his family is being taken care of. I cried because of the outpouring of love and support from strangers for this family that was happening on my doorstep. Have I mentioned that our city rocks? Because it does. It may not be the prettiest place, and we may have the smallest, crappiest Target I've ever been to, but the people here love the military, and will pretty much do anything to support them. The Allen's current home is two stories. They've added a ramp to the front, and have made some modifications inside, but what they really need to do is build a single story home to accommodate SSG Allen's needs. Fundraisers are being held this weekend, and ongoing donations are being accepted. If any of you feel so inclined, you can donate HERE. And if you know a military member, go thank them. Right now. Don't wait for a designated holiday.